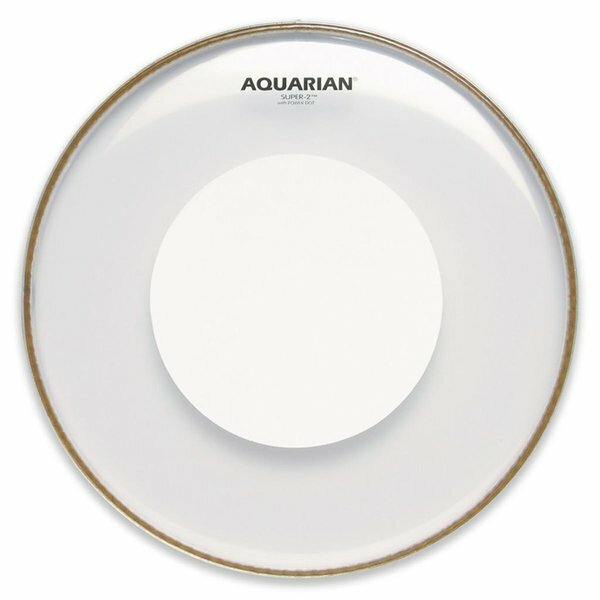 Super-2 Series drumheads have great attack, projection and depth unlike any other drumheads. The patented Safe-T-Loc hoop prevents the head from slipping and the Sound Curve collar design provides "Responsive Tuning." With Responsive Tuning, one turn of the drum key and Super-2™ heads react. Made with a 7 mil ply and 5 mil ply configuration. They are focused, deep, and solid.